The Union Public Service Commission (UPSC) has declared the final results of the Central Armed Police Forces (Assistant Commandants) Examination, 2015. 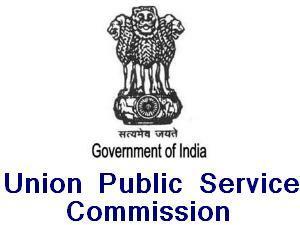 UPSC Central Armed Police Forces (ACs) Exam results can be checked on the official website. The results will be displayed on the third page of the press release. Based on the results of the Central Armed Police Forces (Assistant Commandants) Examination, 2015 held by UPSC on 12th July, 2015 and the interviews for Personality Test held in January, 2016, a total number of 224 candidates have been recommended for appointment to the posts of Assistant Commandants (Group A) in the Central Armed Police Forces viz. Central Reserve Police Force (CRPF), Border Security Force (BSF), Indo-Tibetan Border Police (ITBP), Central Industrial Security Force (CISF) and Sashastra Seema Bal (SSB). The list includes 101 General, 62 Other Backward Classes (OBC), 38 Scheduled Castes (SC) and 18 Scheduled Tribes (ST) candidates.